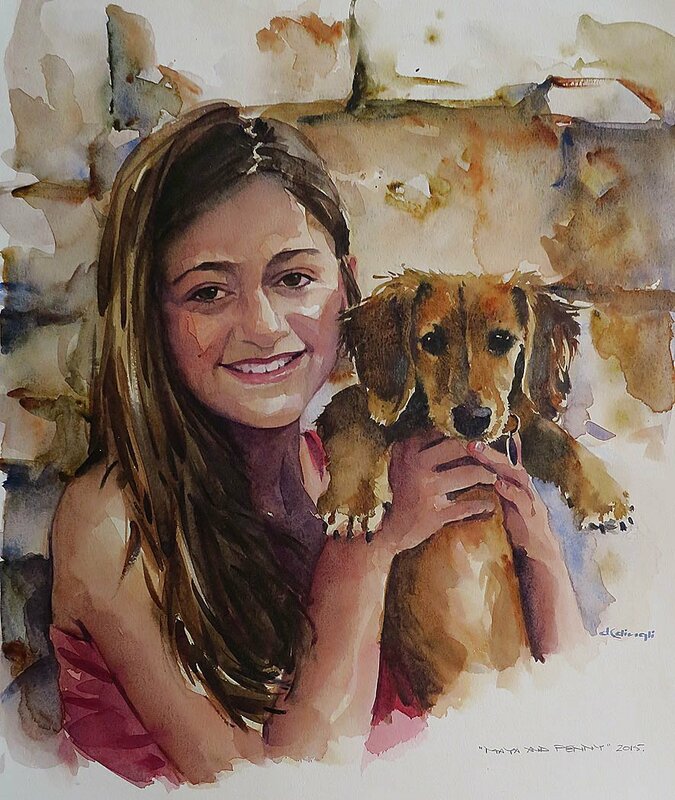 Debbie Caruana Dingli (born 1962) is one of Malta’s foremost portrait artists. The Caruana Dingli name is closely associated with art in Malta. Her great uncle Edward (1875-1950) was the most fashionable portrait artist of his day while her grandfather Robert was also a noted painter and caricaturist, producing cartoons for both Punch and Tatler – quite an achievement for a Maltese artist in the inter-war years. You would think that Debbie has quite a hard act to follow but followed it she has and with ease and a good deal of panache too. 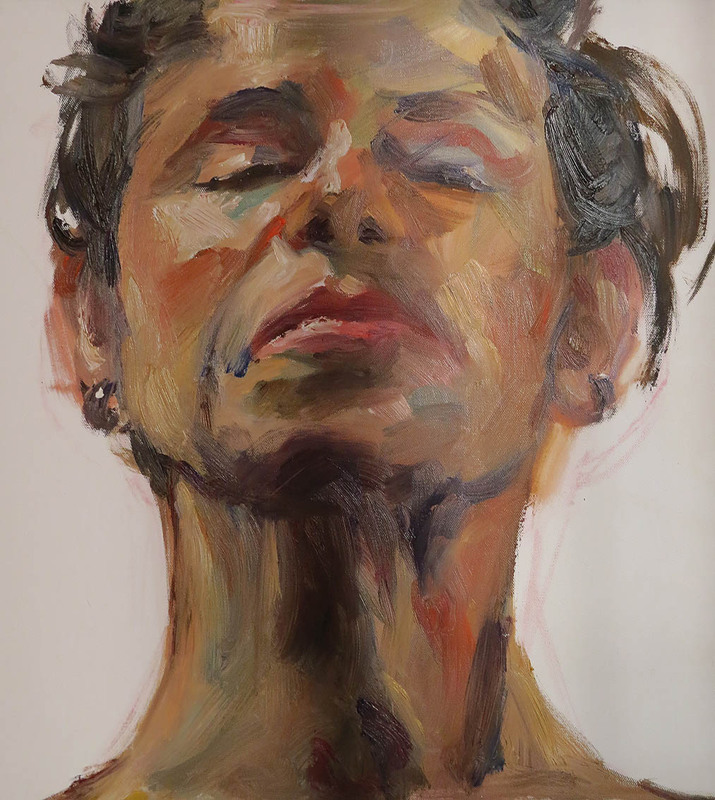 She freely admits that Robert’s caricatures were her earliest inspirations in the world of art, but also cites John Singer Sargent as a major influence – “it’s the mastery and freshness of his brushwork” she enthuses. Debbie hails from Sliema but has lived in the village of Siggiewi for the last nine years. Village life appeals to her much more these days and she feels very much a Siggiewija – so much so that she is to be found regularly teaching art classes at the local council offices’ spacious courtyard. “The people here are so authentic and I am happy to bring art to the heart of my adoptive village. I am looking forward to organizing the second edition of the Siggiewi Summer Exhibition in June – highlighting my students’ work. Being so close to the countryside is also great; my dogs need their daily exercise and fresh air and so do I”. 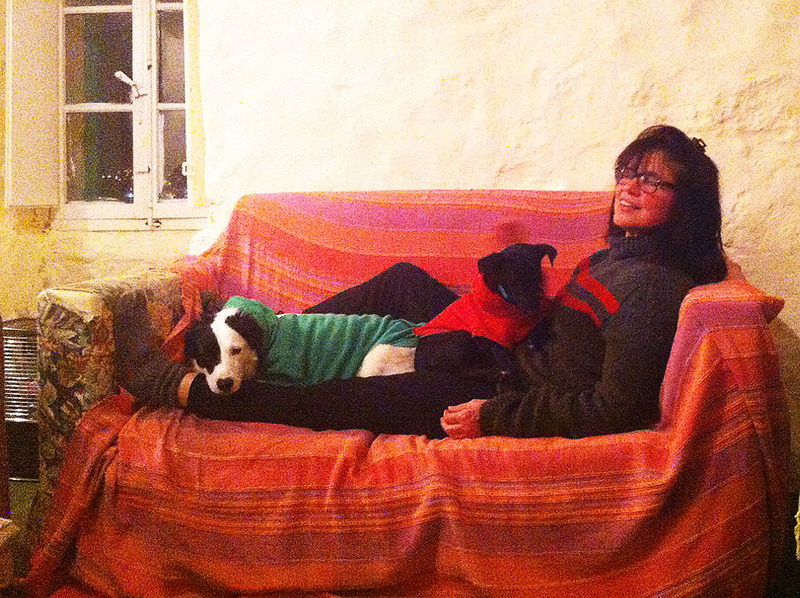 Indeed… Debbie is in fact an ardent cyclist, runner, long distance swimmer and an incurable dog lover. Debbie has held regular exhibitions of her work both locally and abroad for the past thirty years, including seven solo exhibitions. Her themes are simple, down to earth ones; the environment, animals and their welfare, the common man in the street, and of course the portraits for which she is best known. It is however Debbie’s cartoon oriented work which strikes a chord with art aficionados. Surprisingly she feels that her ‘angry’ and environmental protest work is best expressed in cartoon language – and one can easily see why, as it frees the artist from formal aesthetic conventions and where exaggeration and freedom come into play with ease. For such a well-known portraitist, Debbie surprisingly shuns the limelight and prefers the quiet life. Famously in one of her last group exhibits just last year she came to the opening at Valletta’s Saint James Cavalier by bus (“couldn’t be bothered to find a place to park”), dressed very casually….and simply disappeared when the crowd got a bit too much! Debbie’s next show is a prestigious retrospective at Bank of Valletta’s modern headquarters in Fleur de-Lys, Birkirkara – the first female artist to be invited to show her work at the Bank’s purpose-built gallery. It runs for a month from 21st May 2015.